A new pricing study by The Strawhecker Group written by Senior Associate Mike Goding found the cost of processing transactions has dropped more than 10 percent since 2010. This sixth edition of the <Merchant Processing Pricing Benchmark Study provides acquirers with benchmarks for processing services in different segments of the payments industry. The study divided processors into four groups: small, up to 250,000 transactions per month; medium, 250,001 to 1 million transactions per month; large, between 1 million and 3 million transactions per month; and jumbo, more than 3 million transactions per month. 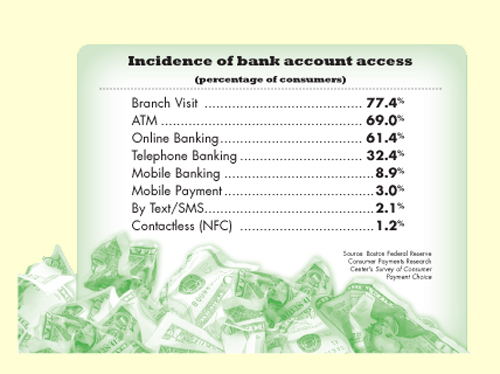 The study focused on the number of transactions per month rather than dollar volume or number of merchants. Goding said he believes the drop in processing costs is due, at least in part, to the economic recession that has forced processors to become more price-competitive. He called this good news for acquirers negotiating new contracts but a liability for acquirers in long-term contracts who have to compete with processors that have "fresher" agreements. Goding said he expects processing prices will continue to fall. Merchant on file fees increased between 76 percent and 104 percent over the past year for medium and large processors. Goding believes this may be because these processors have used merchant on file fees to compensate for lower transaction fee prices. Customer service and terminal help-desk support costs have gone up significantly for the top three segments of the industry. New business has a significant pricing advantage over legacy customers as processors compete for new business. Goding recommended legacy customers do a request for proposal process when renewing to get "new" customer treatment. Despite complaints about "per merchant" fees charged by processors, the survey found less than 15 percent of acquirers actually pay these charges. "We believe that if banks can roll out a safe, easy to use and ubiquitously accepted system, consumers will very quickly adopt mobile payment solutions as they have other mobile services." A new report from CyberSource, a Visa Inc. company, and the security and compliance firm Trustwave found nearly 70 percent of e-commerce merchants surveyed upgraded data security because they believe a security breach would negatively impact the brand. Only 26 percent of respondents said they upgraded to comply with the Payment Card Industry Data Security Standard. Newtek Business Services, The Small Business Authority, released the SB Authority Index for June 2011. The index was up 1.17 percent from May 2011, reaching 106.07 points. Approved SBA loan volumes, the Russell microcap index and retail sales caused the increase. The other five components of the index are the Automatic Data Processing Inc. national employment report, Newtek's proprietary merchant processing volume data, the estimated small business default loan rate, the Government Loan Solutions default rate and the prime rate. CreditKarma.com released its midyear U.S. Credit Score Climate Report and the survey shows consumer credit card debt down 10 percent from December 2010 and down 17 percent from a year ago. Consumers in New Hampshire, Hawaii, Wisconsin, Alabama, New York, West Virginia, Minnesota, Missouri, Illinois, California, Massachusetts and Texas led the U.S. in credit card debt reduction rates.